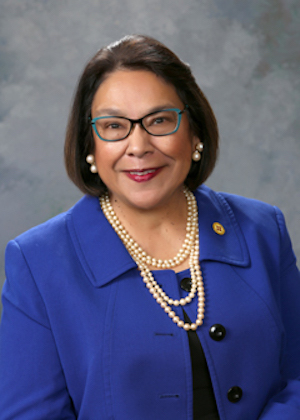 Patricia Roybal Caballero was a freshman lawmaker in New Mexico’s House of Representatives when she walked into a popular Santa Fe restaurant in 2013 for a meeting with some of her colleagues. Roybal Caballero, a community and economic developer of Piro-Manso-Tiwa ancestry, was by then used to dealing with negative perceptions about her race, but what happened next astounded her. “Before I had a chance to ask for a table, the hostess said, ‘I am sorry, but we’re not taking applications right now,’” Roybal Caballero told me recently. For that kind of encounter to happen to a lawmaker in the state capital, in a city with so many people of color, was a reminder of the need for her to be a voice for marginalized people. Although there are 6.6 million Native Americans and Alaska Natives in the country, Roybal Caballero is one of only a few dozen Indigenous state lawmakers. That’s a discrepancy worth considering as we head toward 2018 midterm elections. For Roybal Caballero, racial misconceptions and ignored histories don’t stop at local restaurants. In a December speech at a charter school conference, the state’s education secretary, Christopher Ruszkowski, said America was built on “freedom, choice, competition, options, going West, Manifest Destiny.” Manifest Destiny is a thorny 19th-century concept—a justification of the expansion of American colonialism that destroyed countless Indigenous communities and lives—but here it was again, being glorified. Roybal Caballero says her mere physical presence can change the tone of a conversation in the statehouse, which in turn can change misconceptions. That’s why the upcoming federal elections have caught her attention, as at least four women across the country are hoping to become the first Indigenous women elected to Congress: Sharice Davids, Deb Halaand, Eve Reyes-Aguirre and Amanda Douglas. Three more Indigenous women are running for governor in Idaho, Hawaii and Minnesota. “Four in relation to our population in this country may not be seen as significant through the eyes of power and authority, but through our eyes, we know that through our history that just three or four of us can be resounding,” Roybal Caballero says. Native Americans were not allowed to vote until 1924. It was only 40 years ago that Congress recognized the legal right of Indigenous peoples to practice their religious beliefs. Needless to say, Native communities have never been properly represented in Congress. That legacy of disenfranchisement continues to this day, as Native Americans across the country face a variety of challenges accessing the voting booth and having their concerns met with action. It isn’t just Indigenous candidates that make this year feel different. In one part of the Navajo Nation, there is hope that redistricting can begin to reverse generations of voting disenfranchisement. In Alaska, efforts are being made to create voting ballots in several Indigenous languages. “This year seems organic,” says Mark Trahant, editor-in-chief of Indian Country Today. “Lots of folks who have decided they must run—now.” Trahant has been tracking Native political candidates for years now, and he says the unprecedented number of Indigenous state and federal candidates has caused him to create a new category in his data set for first-time candidates. Issues like the dramatic reduction of Bears Ears National Monument, a land sacred to Native peoples, many of whom successfully lobbied to have it designated, have also galvanized voter participation efforts. It probably didn’t hurt voting efforts to have President Donald Trump, who backed the reduction, hang a portrait in the Oval Office of President Andrew Jackson, a man whose embrace of genocide led to the Trail of Tears. Here’s hoping our voices become too loud to ignore.